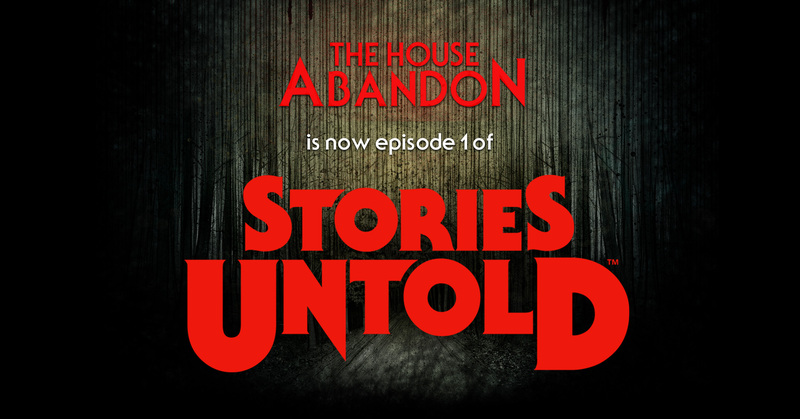 'The House Abandon' has been remastered and released as part of the critically acclaimed short story anthology 'Stories Untold' . This new version, Episode 1, is now available on Steam as a free demo, and will return here soon too. In the meantime, head over to steam to see the full game and download the full free episode! Thank you everyone who downloaded, streamed, let's played and enjoyed The House Abandon - you helped us make 3 more bizarre adventures! Enjoy! Link of the demo please? Definitely got me a few times. I love how they took something so simple as a text-based game and made it so much more immersive. After playing this demo I am definitely picking up the full game. Finally got to play the demo with my friend, considering buying the whole game. Amazing work! Awesome game Somethings Lurking Outside.. Loved this game a lot and cant wait to play the other stories! Cool game had a great time playing creepy as hell for a text game. Anyone know if the Utility Room is just a red herring? Or is the key actually somewhere to find? 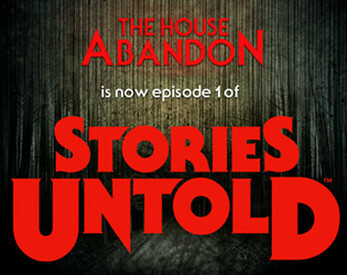 That's been bugging me for months and with the recent release of "Stories Untold" I'm left curious once again. Fairly sure its just a red herring, ive tried looking in all possible places for the key but it doesn't seem to exist. Wow, simply, wow. I`m truly impressed with your work guys. At first, I didn't like how the game played, and I almost drop the game, but thanks god that I didn't, because, god, what a truly terrifying experience I had. You guys have modernized the edventure text genre, and I couldn't be happier that you even got a steam release. I give it a 4/5 stars because, while it's innovative, ingenious, scary, and has a great atmosphere. I need to say that I could never get use to the commandos that we were given, I felt like they were really limited and just 1 or 2 specific words could work. But nonetheless, I had a fantastic experience with you game and I will buy your game on Steam. I expect to see more of you, you are awesome. Awesome game, made me jump a few times! This game was fascinating and a great experience to play! Highly recommended! Is the Mac version no longer available? https://www.youtube.com/watch?v=8QgaX8Fftoo Played this a while ago. Great game! AHHHHH!!! YOU'RE RELEASING A SUCCESSOR!!! I CAN'T WAIT TO PLAY IT!!! Any chance this could ported to macOS? Fantastic job doing something new with an old genre. The creep factor definitely got to me and the length feels perfect for getting players to experience the end even when text adventure games can be tricky for people who are not used to them. Man this was a cool game. I've always loved the idea of text adventure games but never knew where to find them. All the meta things, especially the door, REALLY got me. There were some frustrating things, like the fact that in some instances you had to use 'the' to make a command work, while at other times you had to omit 'the'. But overall, it was super cool. Tried to record a video of this game, but I can't even go around back to get to the generator. So I'm stuck at the beginning of the game, and not a single command I typed would work for me. But I never expected it to be a typing game, so it's not really my kind of game anyway. Fantastic concept, really enjoyed playing this! Aside from some technical issues with the text-game itself, this game was amazing. The sound effects and music were spot on, and the environmental changes as the game progressed were inspired. I don't think I've played a game yet that felt as sinister as this one did during the second half. Rough edges: Pretty frustrating if you've actually played a lot of 1980s IF. There is no 'inventory' or abbreviation allowed. You need to get used to the extremely specific parser. There are typos where there aren't supposed to be. The distortion on the TV is a little too much. Great game, but how do you quit from it? I tried 'end game', 'finish game', 'quit', 'quit game'. Escape doesn't work. In the end I had to hit the Windows key, then right click the game in my taskbar and close, but I'm sure that's not the method.